"Pawtucket Crossing" - The Pawtucket River Bridge is featured in MONDO*ARC Magazine! 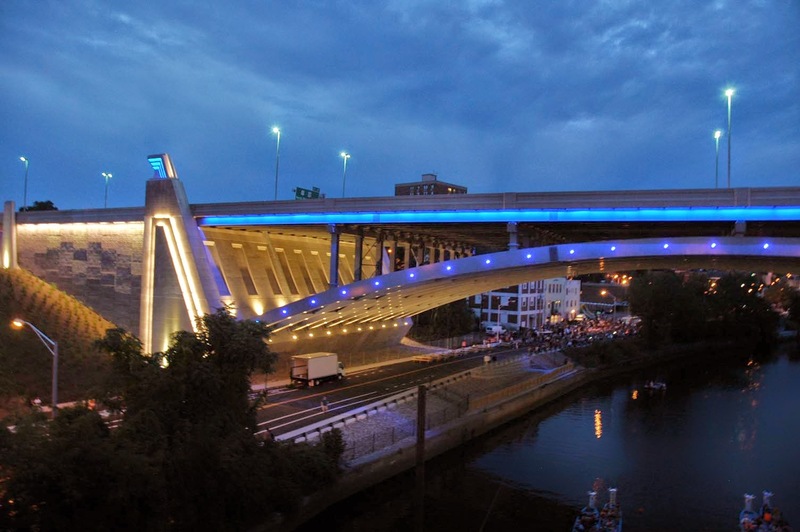 The April/May issue of MONDO*ARC Magazine features a four page article on the lighting design for the Pawtucket River Bridge. Started in 1999, MONDO*ARC is "the international magazine for designers with light" and focuses on innovation and specifications for architectural, retail, and commercial lighting. We got several copies of the magazine delivered to our office last week, but you can check it out online using this LINK! ALD & RIC visit to USITT! 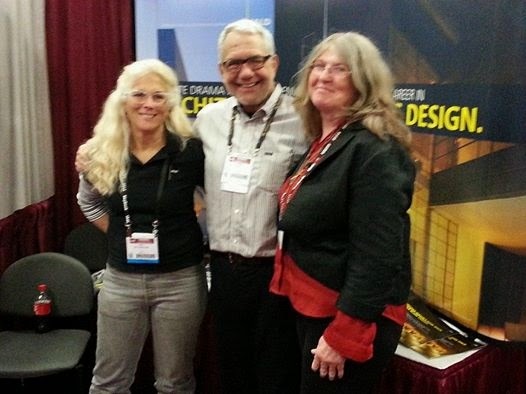 Kathy and Chris recently returned from their annual trip to USITT! This year's conference was held in Fort Worth, Texas from March 26-29th. USITT (United States Institute for Theatre Technology) holds an annual conference every year to allow their members to learn about the newest techniques, products and services in the entertainment and theatre industries.It also allows members to mingle face to face and network in this digital age. This time around Chris and Kathy got to meet several of the Distinguished Award winners in person! They met Bob McCarthy, who was honored for "literally writing the book" on sound design; Eugene Lee, who was honored for his exemplary achievement in scenic design (who actually lives in RI); and Shirley Prendergast, who was honored for her work in lighting design and her continued "influence on women designers and designers of color." Chris was there as a representative of Rhode Island College, whose Technical Theatre Group (TTG) is a Supporting Member of USITT. Chris hopes to help RIC students attend future USITT conferences & events. While she was at the conference, Kathy also worked the IALD Education booth, helping to show students the opportunities available to them in architectural lighting. 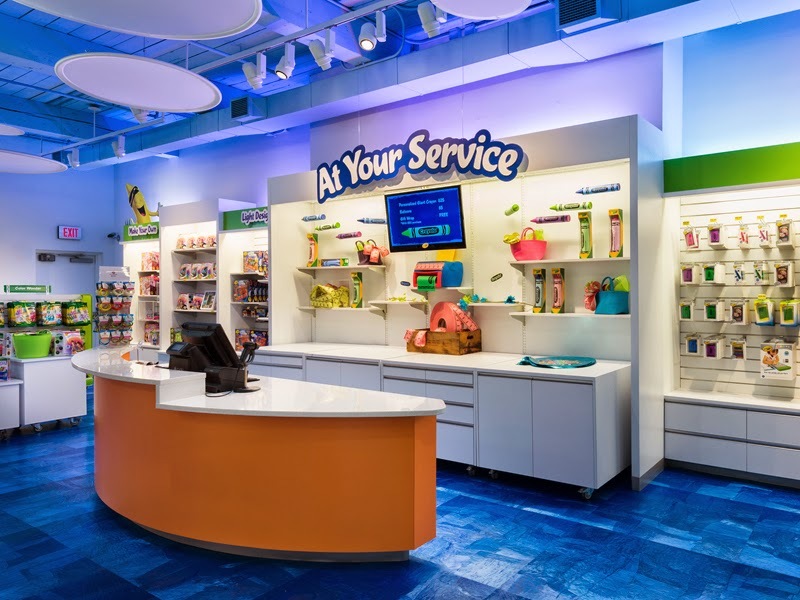 For this week's Social Media Tuesday - Check out the recent article by VMSD about the Crayola Experience store! Lighting design for the store was done by ALD! 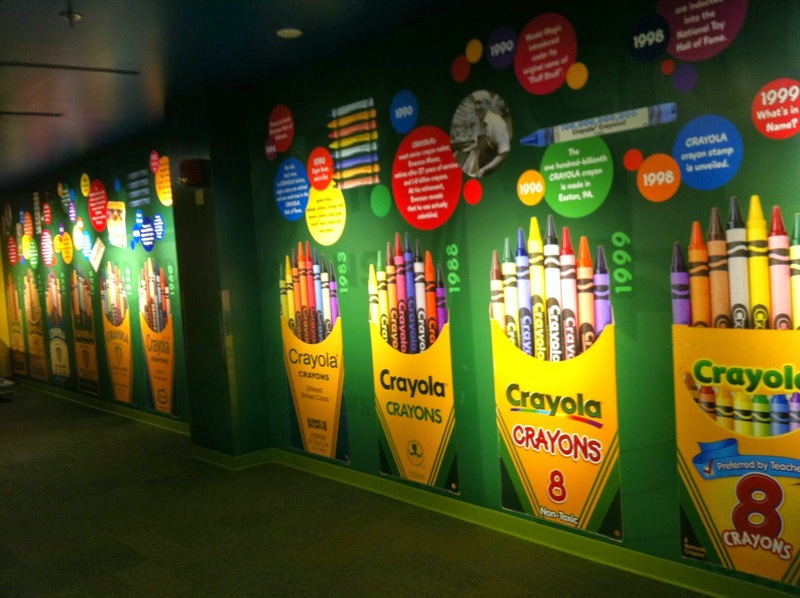 The article, which can be found here, also includes a beautiful photo slide show of the completed installation that incorporated all 200 colors of a Crayola box! !